This exhibition is organized for the McNay Art Museum by René Paul Barilleaux, Head of Curatorial Affairs, and Timothy Retzloff, Tobin Theatre Arts Fund Curatorial Assistant. This exhibition is a program of the Tobin Theatre Arts Fund. 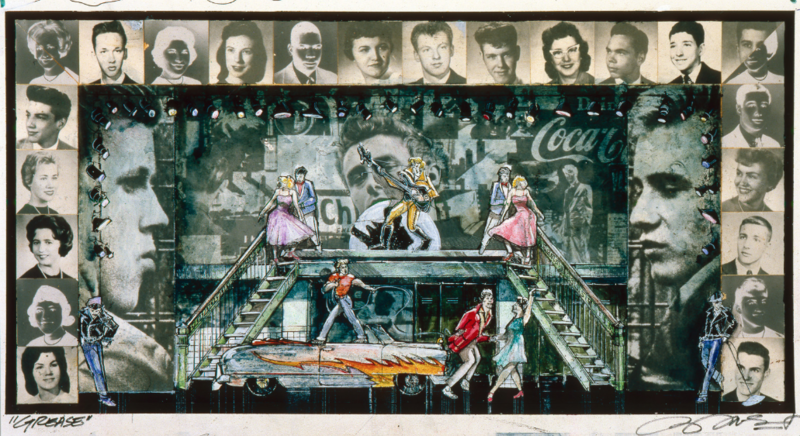 Douglas Schmidt, Scene design for Grease, 1972. Collage on board with acrylic, ink, and varnish. Collection of the McNay Art Museum, Gift of Robert L. B. Tobin.